FastEther Channel (FEC) is a Cisco method that bundles 100 Mbps FAST ETHERNET ports into a logical link. Because any redundant paths between two switches mean some ports will be in a blocking state and bandwidth will be reduced, Cisco developed FEC to maximize bandwidth use. Figure 2-4 displays a switched network with two 100-Mbps connections between them. Because of STP, the link will be in a blocking state after the election of a root bridge, Switch A, in this case. Switch B will block one of the paths to ensure only one path (Switch A) to the root bridge. To purchase and enable a Fast Ethernet port is expensive, and to have it sitting in an idle position means wasted resources, so Cisco developed a method where Fast Ethernet ports could be bundled together and used concurrently (in other words, cheating spanning tree into believing that the two ports are one to send data from Switch A to Switch B with two 100-Mbps links instead of one). To enable FastEther Channel, the following steps are required: Step 1 All ports that are part of FEC must be set to the same speed. Step 2 All ports must belong to the same VLAN. Step 3 Duplex must be the same, half or full, not a mixture. Step 4 Bundle up to eight ports together. Step 5 To set FastEther channel on a switch, the CatOS syntax is set port channel. Step 6 To set FastEther Channel on a router, the IOS syntax is channel-group under the Fast Ethernet interface. Step 7 You are allowed up to four FEC groups per switch. This could change with future Catalyst releases. NOTE A group of bundled ports running FEC is commonly known as a trunk. In switching terms, a trunk is a physical and logical connection between two switches. Inter-Switch Link (ISL) is a Cisco proprietary protocol that maintains VLAN information as traffic flows between switches and routers. 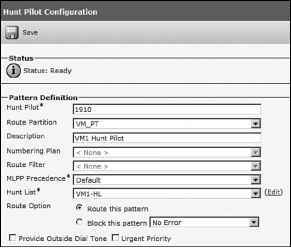 ISL allows members of one VLAN to be located on any given switch. 802.1Q is an IEEE standard for trunking. You can use IEEE 802.1q in a multivendor environment. Figure 2-5 displays the logical link when FEC is enabled between Switch A and Switch B. Ports are bundled together; effective bandwidth now up to 400 Mbps at full duplex instead of 200 Mbps. Both ports forwarding now when FEC is configured.